Christina Gibson-Davis is an associate professor of public policy, sociology and psychology and neuroscience. 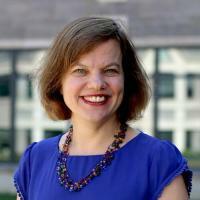 As of July 2018, she is also the director of undergraduate studies at the Sanford School of Public Policy. Her research focuses on causes and consequences of changing fertility and marriage patterns, including single mothers and marriage versus cohabitation. She is an expert on the causes and consequences of marriage among low-income parents and the health and well-being of low-income children. Marriage and Parenthood in the Lives of Adolescents and Young Adults, William T. Grant Foundation, 07/01/2007 - 06/30/2012. Beyond Test Scores: Schooling and Life-Course Outcomes in Early Adulthood, Smith Richardson Foundation, Inc., - 00/00/0000. Centers for Children's Environmental Health and Disease Prevention Research, EPA, 01/01/2007 - 12/31/2011.